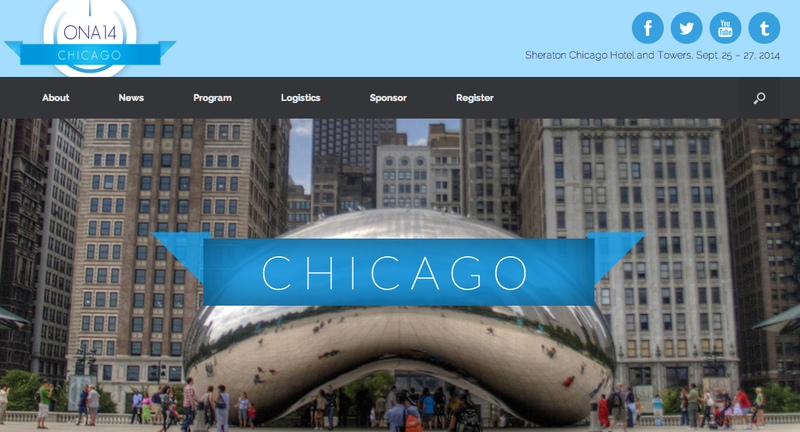 For the second year I contracted with the Online News Association on their annual conference site. Working on a conference website presents a challenge because the relevant information changes over the course of several months. The first phase of the site is simply to announce the location and provide information on registration and hotels. 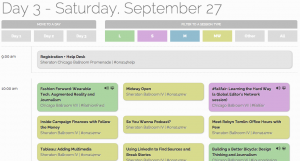 Phase two begins when the schedule is announced – allowing attendees plan their schedule. 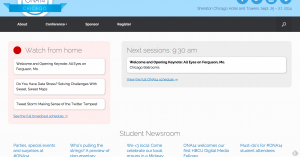 The ONA schedule presentation is interactive; allowing users to sort sessions by type and topic. During the conference – phase three – the current session and the next session are the most relevant; so we highlight those on the homepage. Users visiting the site from home can visit our livestream page; attendees can preplan their next session. Post-conference, it’s the coverage and recaps of the sessions that become useful. We change our presentation to direct users to these resources.